Beautiful shores, pristine oceans, lush greeneries, captivating landscapes and cliff sides, and colorful local culture—certainly, Hawaii has a lot to offer its guests. And as a good host, Hawaii also offers a complete package of accommodations for different, tastes, needs, budgets, and locations. You can choose from luxurious hotels, camping grounds, beach resorts, and comfy bed and breakfast inns scattered all over the islands. The problem when in Hawaii is not finding a place to stay, but choosing one from the numerous places to stay in Hawaii. Whether you're after practicality, luxury, or both, you should find one that will satisfy your needs in Hawaii. Here, we outline some of your choices for your stay in Hawaii to help you find the right accommodations for your vacation. If you want to have a more outdoor experience during your visit, you can opt for the RV rentals and camps in the Big Island. 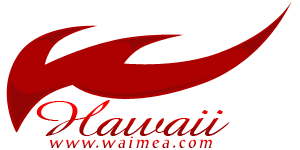 For example, Hawaii Campers offers rental RVs for you to plan your own trip and tour Hawaii with a home on wheels. If you want to camp out, there's the Arnott’s Lodge and Hiking Adventures and Kona Camping Ranch that provide camping grounds for tents, and different amenities besides. It also provides a strategic location for some of the best outdoor activities in Hawaii, such as biking, hiking, and snorkeling. These present different options for different budgets, and are economic alternatives for your Hawaii visit. Aside from the savings, each of these also present a unique Hawaiian outdoor experience. If you want to combine the luxury of a hotel accommodation with a homey atmosphere, then bed and breakfast inns are for you. Depending on the island and location, you can choose from inns that present a great view of the sea, volcanoes, or the surrounding green landscape and rainforest. For example, if you want a good view of the Hilo Bay, you can go to the Bay House B&B. If you want a great combination of a spectacular landscape and an orchard, you can try the Macadamia Meadows Farm Bed & Breakfast. For higher elevation, you can stay at the Volcanoe Retreat. Of course, there are lots more to choose from, and each B&B offers different amenities, sights, and easy access to the island's different attractions and activities. Room rates depend on the size of the room and the number of guests, and you should be able to find an inn within your budget range.See our accommodation pages for each Island. As Hawaii is known for its scenic coastlines and beaches, you have a host of beach resorts to choose from. If you want to sleep a stone's throw away from the lulling sounds of the surf, then the beach resorts in Hawaii are the best choices for you. Aside from the proximity to the ocean adventures that these resorts provide, you can also get first-class accommodation from some of the luxurious resorts in Hawaii. Some of the big names in the hospitality industry that you can find in Hawaii are the Sheraton, Hilton, JW Marriott, and Four Seasons. Some of the amenities that you can find in some of the resorts are swimming pools, tennis courts, and golf courses. You can also find resorts that offer their own fine dining establishments plus proximity to local shopping and dining districts. So if you have extra cash to spend, a resort is one of the best options for your Hawaii accommodation. If one should speak of luxury accommodations, one should not forget hotels, and Hawaii has plenty of those in store for visitors. Hawaii is not only known for its numerous hotels, but also for the quality of service these hotels offer. Hawaii is home to some of the best hotels in the world, with several landing a place on Forbes Traveler 400 hotels. These hotels are the following: Four Seasons Resort at Hualalai and Maui, Halekulani, J.W. Marriott Ihilani Resort & Spa, Mauna Kea Beach Hotel, Mauna Lani Bay Hotel & Bungalows, and the Ritz Carlton Kapalua. Hotels in Hawaii are noted for capturing the local culture, while still providing the best comforts, luxuries, and amenities of modern living. Depending on the hotel, you get access to the best chefs and dining places, ocean and mountain views, and golf courses. Though these hotels are a bit hard on the pocket, you would certainly get more than what you paid for through the luxurious lodging and quality service. And whether you want a hotel in the thick of the action or in a fairly secluded location where you can relax and unwind, there's a hotel in Hawaii that can give you what you need. If you want the comforts of a fully furnished room with an assured oceanfront view, another option for you is to rent one of the numerous condos in Hawaii. These offer all the amenities of a condominium, and some even offer an in-house chef for your meals and a concierge for your specific needs. Depending on the condo, you can have access to swimming pools, tennis courts, and golf courses. You can also have proximity to different places wherein you can enjoy activities such as biking, hiking, snorkeling, and of course, the beaches. Condominium rates and locations vary; you can surely find a condo that fits your destination and budget. Condos are great for people who want to have privacy and freedom while also enjoying a great ocean view. If you have a regular schedule yearly for vacations, then you can opt for one of Hawaii's vacation ownership programs, also more commonly known as timesharing. Depending on the company, you can choose from several locations and resorts that offer different amenities such as lagoon-style pools, proximity to golf courses, and oceanfront views. If you've fallen in love with Hawaii and want to come back yearly, getting a vacation ownership on the island is an option. You get assured accommodation with the services and ambience of a luxury resort. The only thing is, not everyone can avail of this option as this is similar to buying property on the island, and it has ongoing maintenance and upkeep expenses, so it is expensive. Some regular visitors to Hawaii find it worth the investment as they can use their Time Share to rent out the property or exchange it for a stay in other places. Vacation ownerships, or timeshares in Hawaii, can be made more affordable by buying or renting one on the secondary market.Timeshare rentals on the secondary market are more affordable, and sometimes can cost less than a week at a hotel in the area. You can try SellMyTimeshareNow.com to begin your search as they offer over 3,000 Hawaii vacation ownership properties available by-owner. Prices are often much less expensive if purchased through a private reseller because they don’t include resort admin fees, sales commissions, or other hidden costs. You can also choose to rent a timeshare before buying, so that you can try it out first. There are several factors that can influence the final choice of your accommodation. But first, you should already have plans on what kind of vacation you're planning to have. For example, if you're in Hawaii for your honeymoon or a romantic getaway, then the hotels, resorts, and condos can be on the top of your list. If you want to enjoy a bit of seclusion and relaxation, you may find the inns and bed and breakfasts more to your liking. If you prefer the outdoors and have an adventure, then the camping sites and RV rentals can be what you're looking for. Of course, another factor is your budget. If you can pay for the big-name hotels and resorts, then go ahead. If you're on a limited budget, there are several other hotels and inns that have affordable rates. You can also choose to camp it out if you're more on a backpacker budget. Whether you're ready to splurge or a bit of a penny pincher, there is an accommodation for you in Hawaii. Another thing to prepare for is your island destination and the availability of accommodations. This is where proper trip planning pays off. If you already have an itinerary on what to do in Hawaii, you can easily look for the best places to stay in, check prices, and make reservations. Whether you're just after a swim on the Lanikai Beach in Oahu, see the Kilauea Volcano on the Big Island, or see the greenery of Kauai, these can help you decide on which place to stay during your visit. Once you have a target destination, you can then inquire and make your reservations for your trip. Aside from the various activities and scenic spots that Hawaii has to offer to vacationists, you also have the best accommodations and lodgings for different tastes, needs, and budgets. Wherever in Hawaii, on whichever island, you're sure there is a home away from home waiting and ready to serve you. And that is what's so enjoyable about Hawaii -- you get to leave the hustle and bustle of daily work or study and enjoy a peaceful and fun-filled vacation. With the vast choices of accommodations and destinations, Hawaii offers its visitors a complete vacation package. Whether you're after the sand and surf, the captivating landscape, nature and volcanoes, or a taste of Hawaiian culture, you have several places to make your stay more memorable and comfortable. After all, a large part of what determines your conception of Hawaii is the length of your stay and the place that you stay in. And for that, Hawaii offers a lot of places that tell about the Island's unique history and gives visitors a good and lasting impression of the experience that is uniquely Hawaii.